AKURE—IT was drama, yesterday, in Akure, the Ondo State capital, as pregnant women marched on the State Specialist Hospital, protesting “outrageous 300 percent increase” in medical bills, disrupting activities for hours. 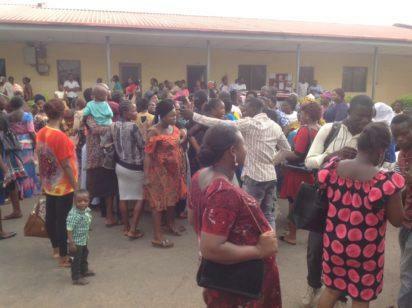 Numbering about 200, the pregnant women blocked the main entrance of the hospital, asking the state government to urgently reverse the new N25,000 charges for normal deliveries and over N50,000 for complicated deliveries. Others besieged the antenatal section of the hospital. Recall that expectant women and children below age five enjoyed free medical services under the immediate past administration of Dr. Olusegun Mimiko. They described as unjustified charges ranging from N500 to N4,000 being collected by the hospital’s officials, on the order of the state government, from pregnant women across the state. One of the protesting pregnant women, Sharon Arise, said they usually pay N1,000 as registration for antenatal while deliveries were free of charge. Arise said registration fee jumped from N1,000 to N5,000, while they have to pay N500 for every ante-natal appointment, N25,000 for normal deliveries and over N50,000 for deliveries that developed complications. According to her, the cost of antenatal services was increased last December while other fees were introduced after the Easter break, saying most of them have resorted to traditional midwives and private hospitals. According to her, “this morning (yesterday), when we got to the hospital, we were asked to pay N500 each before they could attend to us. “Initially, when we registered, we registered with N2,500 which is to cover the whole antenatal period. “But now, they asked us to pay every time we need to see the doctor and that we should prepare N25,000 ahead of our delivery and those who registered today (yesterday) had to pay N4,000 as against N1,000 we used to pay before now for antenatal. “We made a formal complaint at the office of the Chief Medical Director, CMD. Vanguard was informed that receipts for the deliveries were not given to the women after giving birth, by officials in the hospital. Addressing the protesters, CMD of the Specialist Hospital, Dr. Moses Adewole, who denied the development, said there was no increase in the cost of delivery of the pregnant women in the hospital. He, however, said the newly-introduced N500 for every antenatal appointment was introduced by the management to subsidise the running cost in the hospital, while he appealed to the pregnant women to cooperate with the hospital. The Permanent Secretary at the Hospital Management Board, Dr. Adeniran Ikuomola, worsened the matter when he seized the phones of the protesting women and was almost lynched. He was ferried away after being booed out of the hall. The Commissioner for Health, Dr. Wahab Adegbenro, when contacted, said: “We have resolved the issue and I think there was communication gap; that was what caused the protest. Adegbenro described the increase in the delivery fee as false, saying there was no plan to increase the delivery fee. His words: “There is nothing like N25,000 for delivery. It is false information and the normal delivery fee remains N5,000. Recall that Bill Gates had recently declared that Nigeria is one of the most dangerous places to give birth. The Chairman of Bill and Melinda Foundation said: “The most important choice you can make is to maximise your greatest resource— the Nigerian people. Nigeria will thrive when every Nigerian is able to thrive. “Nigeria is one of the most dangerous places in the world to give birth with the fourth worst maternal mortality rate in the world ahead of only Sierra Leone, Central African Republic and Chad. 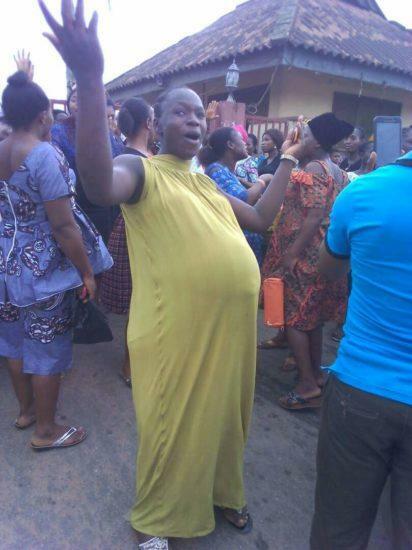 The post Pregnant women lay siege to Specialist Hospital in Ondo appeared first on Vanguard News.